Nestled within the city of Homewood, the Hollywood neighborhood feels like a step back in time. Winding, tree-lined streets feature an array of stately homes, most dating back to the 1920s. To add to its appeal, the community is located within minutes of restaurants, shopping, award-winning schools, and even downtown. As a result, houses are in high demand and hard to come by. But don’t worry—you can still experience the charm of this historic neighborhood during this year’s homes tour. Historic Hollywood Homes Tour 2018 | Sunday, April 22 | 1 p.m. to 4 p.m.
One of the first streets in Hollywood, Bonita Drive consists of many highly sought-after homes originally owned by prominent Birmingham businessmen and their families, including Clyde Nelson, the developer of Hollywood, and Clarence Lloyd, the mayor of Hollywood. The original owners of this 1926 Spanish Mission-style home were Laura B. and Fay B. Belt, who lived here with their children until 1947. Two more families resided in the house until Mary Scott and Blake Pearson purchased it in 2010. Though the house underwent a significant renovation in 2006 that included a second level and a new den on the back, the Pearsons undertook another update in 2017. They moved a bathroom and mudroom to form a spacious butler’s pantry and also created an outdoor living area with a fireplace, outdoor kitchen, and separate dining porch. In addition, the upper-level master bedroom gained a covered balcony with a fireplace. This home, originally a simple seven-room, brick structure with a carport, was built in 1960 by Mary and W. S. Wengel. Its style was typical of many ranch homes built in Hollywood in the postwar era. The house was sold in late 1960 to Caesarina and J. D. McKinstry, who resold it in 1961 to Anna and Arthur Abrasley. The Abrasleys owned the home from 1961 to 1987. The house had at least two additional owners before 2015. LeeAnn and Paul Davis purchased the home in 2015 and embarked on a major transformation designed by architect Richard Long of Long & Long Design and constructed by Ruff Reams. 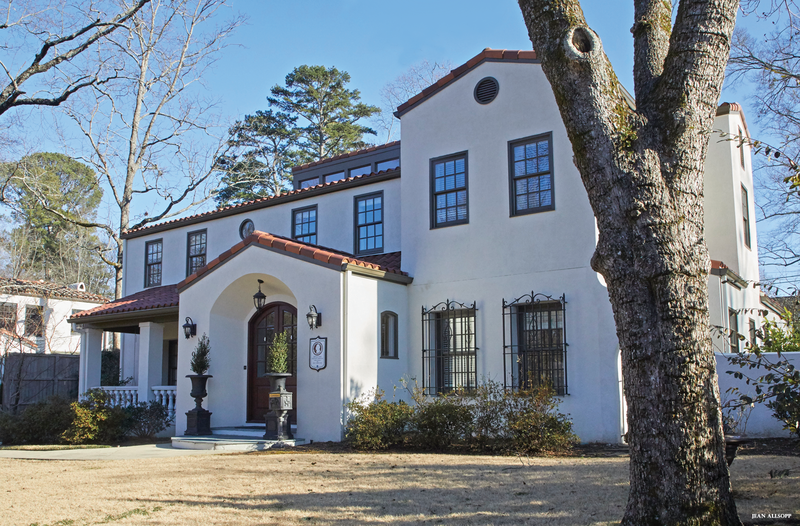 Stucco walls and wood rafter tails and corbels brought Spanish style to the exterior. Three sets of French doors now lead into an open-concept kitchen, living room, and dining area. 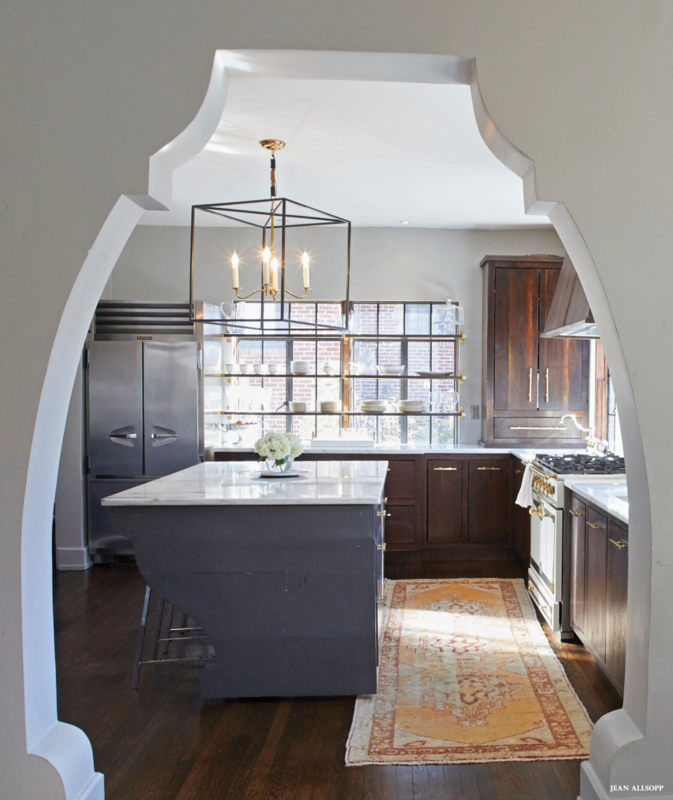 The design team reconfigured the entire interior of the house and added 1, 000 square feet to accommodate a new powder room, laundry room, and master suite. This Tudor-style house was originally built in 1928 as a six-room, one-story bungalow with an open porch and a detached two-car garage. Like many other houses in this section of Hollywood, it featured a brick veneer exterior, steep roof, front gable vents, tiled porch, and recessed arched entryway typical of the Tudor Revival style. The home’s first known owners were Mabel G. and Grady M. Beasley, who purchased it for $14, 000 in the 1930s and lived there until 1972. According to letters from Mr. Beasley to the Jefferson County Board of Equalization, there were no major improvements made to the house until at least 1960. During 2007 and 2008, the home underwent a significant remodel that involved the addition of a second floor with three bedrooms, two bathrooms, a playroom, and a laundry room. The first floor was completely reconfigured to include an open kitchen and den, as well as a main-level master suite. The current owners purchased the home in 2015. Although the interior has undergone significant renovations, the house still occupies it original footprint and has retained its exterior charm. This Tudor Revival home, known as the Bodeker–Woodson–Lang House, was awarded a Jefferson County Historic Marker in 2015. The two-story brick veneer structure with an asphalt roof and a decorative stucco front gable was built in 1926 in the Granada section of Hollywood. It boasted a recessed entrance bay, two porches, and a two-car detached garage. The first owners, Elizabeth and John B. Stratford, sold the home to Norine and Fred J. Bodeker in 1935. The Bodekers resided in the home until its sale to Mary and Lewis Woodson in 1953. Later, the Lang family lived in the home from 1971 to 2014. 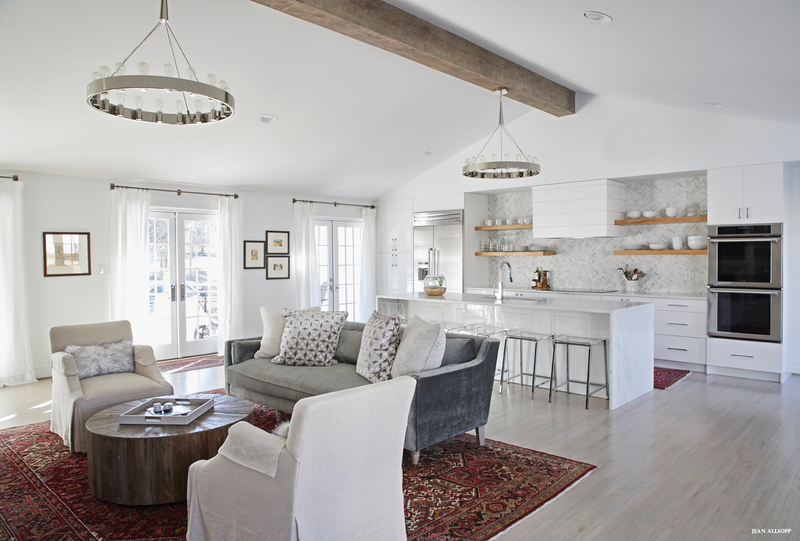 Kristi and Dan Logan purchased the home in 2014 and embarked on an extensive reconfiguration of the floor plan. They moved the kitchen to what was once the dining room and turned the original kitchen into a mudroom. On the second level, the couple created a new bathroom from an existing closet in the master bedroom and renovated the hall bathroom. Even with all of these changes, many of the home’s original elements were preserved. The windows and floors, with the exception of the tile floor in the new mudroom, are original. In addition, the chandelier in the powder room once hung in the original dining room. Virginia and Jeffrey Nix purchased the home in 2016 and began their own renovations by creating a dining porch off the kitchen. The project included rearranging the upstairs floor plan and adding a playroom in the basement.